Four years after the release of Down the Way, sibling duo Angus and Julia Stone reunite to release their third album, self-titled Angus & Julia Stone. 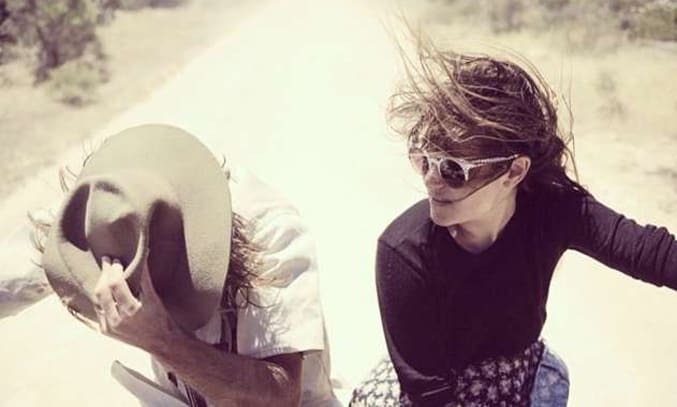 For those who don’t know, Angus and Julia Stone are an Australian brother-sister folk-blues group formed in 2006. Their distinctive alternative/folk sound has been described as a mix between Bjork, the Magic Numbers and a modern day Nancy and Lee (that’s what you call a mix!) and has earned them international success and a host of awards including Album of the Year at the 2010 ARIA Music Awards. UK fans may recognise their acoustic cover of You’re The One That I Want which was featured on a Sky TV advert in 2012. The self-titled Angus & Julia Stone album is the duo’s third studio album and follows A Book Like This (2007) and Down the Way (2010). Produced by legendary US producer Rick Rubin, the album features 13 new tracks and is arguably their best material to date. The album opens with A Heartbreak, an indie-inspired track with muted guitar notes, a walking bassline and a catchy beat. Its opening line “I saw your parents, they were lying / about falling in love” is a strong opener and sets the tone for the rest of the album. My Word For It follows, a laidback slow burner with dreamy, psychedelic guitar, a repetitive chorus and Julia’s distinctive vocals. By the time you reach the third track, Grizzly Bear, you’re already hooked! If the indie sound is your thing, check out Heart Beats Slow, the first single from the album and Get Home, a song just begging to be the closing credits for a US teen drama. Little Whiskey, a catchy pop track with a killer beat, and From The Stalls, a laid back number with Julia’s unmistakable vocal style and brilliant lyrics, are also equally excellent. Best track on the album is Wherever You Are, a sweet ballad with a beautiful acoustic intro. Julia’s gentle and distinctive vocals sound eerily like that of Cindy Lauper (True Colours) while the harmonic chorus is reminiscent of the Magic Numbers. Wherever You Are is the first song the pair have written together and boy does it sound good. Death Defying Acts is also utterly brilliant. Its slow and simple intro with Julia’s whispering and fragile vocals slowly builds into an epic rock/indie track with a killer guitar instrumental and superb lyrics. The album closes with Crash and Burn, a slow-building masterpiece of desperation and Angus’ flawless vocal performance making it a perfect end to a perfect album. Angus and Julia Stone distinctive sound may not be to everyone’s taste but if you’re looking for a laidback acoustic folk-pop album with rich textured arrangements, beautiful vocals and plenty of charm, then Angus & Julia Stone will knock your socks off. 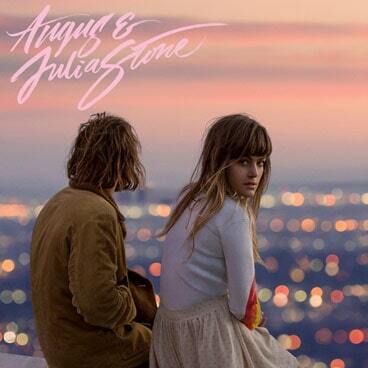 Angus & Julia Stone is released in the UK on 4 August via Virgin EMI.